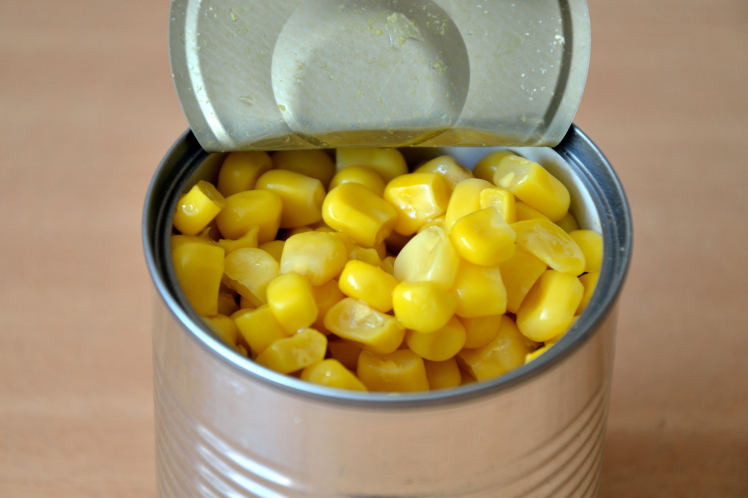 Why are sweetcorn cans white inside? Subject: Fw: Why are sweetcorn cans white inside? You could have gone your whole life without ever realizing this, but if you’ve noticed it’ll likely be one of those niggling questions. Why are sweetcorn tins white on the inside? Most other tins are plain silver, but if you grab yourself a can of Green Giant (or supermarket own-brand alternative, of course) there’s a white film coating the inside of the tin. There’s actually a quite straightforward reason why this is the case. Sweetcorn is a vegetable very prone to discoloration. If left in a tin that hasn’t been coated with white plastic, they can turn brown. While they won’t become inedible or taste any different, we eat with our eyes, and it’s doubtful we’d be happy to consume off-looking veg. Some tins of tomatoes or carrots also have a white coating on the inside of the tin, too, to prevent this discoloration. A common misconception is that it’s white to prevent a chemical reaction between the metal and the product inside, but nearly every tin we buy these days will have a coating – it’ll just be clear rather than white. This film is made of a plastic called epoxy resin, a heated and shaped plastic. "Metal food and beverage cans have a thin coating on the interior surface, which is essential to prevent corrosion of the can and contamination of food and beverages with dissolved metals"
This should never really pose an issue, unless you want to avoid plastics altogether. BPA (or Bisphenol A) is found in this epoxy resin coating, which some people feel could be harmful, saying that it’s a hormone disruptor. It’s absolutely safe, but if you’re trying to reduce your harm on the environment, make sure to recycle your tins.